When I was contacted by Sourcebooks for a review request and possible tour stop for Christy English I happily said yes. 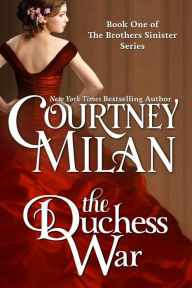 This is one of the authors whose work I have enjoyed in the past, having read The Queen’s Pawn and Much Ado About Jack. The folks over at Sourcebooks have provided me with some fantastic books throughout my book blogging years and I was tickled pink to hear from them again. My review for How to Seduce a Scot , which I enjoyed very much, will be up shortly. I was in the mood for something light and funny so I finally grabbed my review copy of Alice Clayton’s The Unidentified Redhead. The book centers around thirty three year old Grace Sheridan and her love interest Jack. Grace has lost weight, gotten herself together and is now an aspiring actress living with her best friend Holly in Los Angeles. Holly is a casting agent and her latest client is hottie twenty four year old British actor named Jack Hamilton. There is flirting straight off the bat when Grace and Jack meet at a party and even though Grace keeps telling herself he is too young for her, the two become involved.